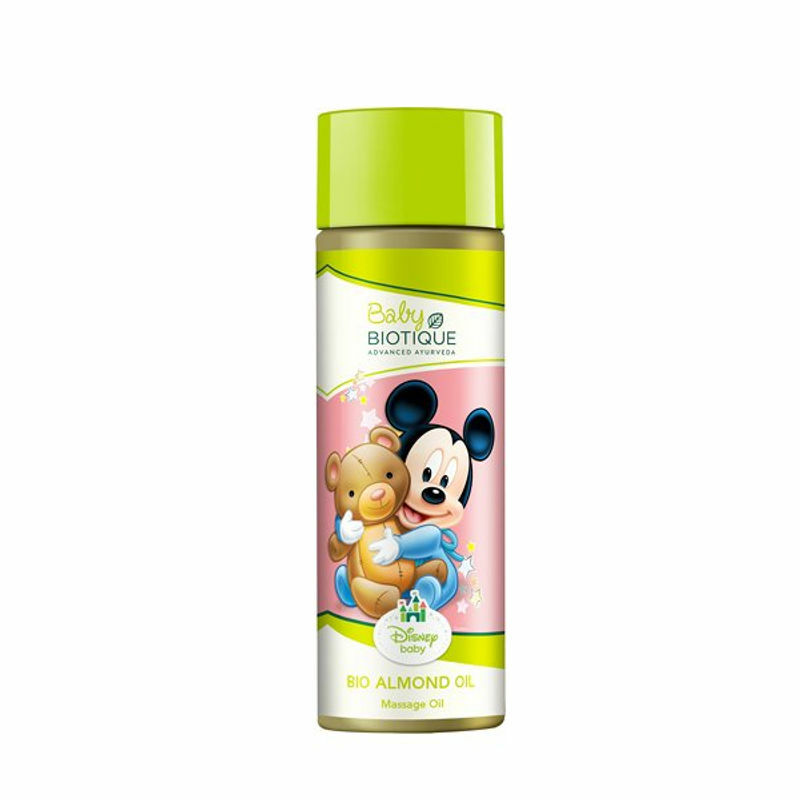 Disney Baby Bio Almond Oil Mickey Massage Oil is a natural blend of pure Almond oils and Sunflower, and extracts of Carrot and Galangal, to soothe and help baby ease into the day or night. Promotes parent-child bonding and healthy, glowing bodies. About the Brand: Using time-tested Ayurvedic therapies blended with contemporary science and beauty treatment requirements, Biotique brand brings to you highly effective skin and hair care products that treat and preserve health, beauty and well-being as never before. The brand uses 100% natural botanicals, potent plants and organic ingredients in their products and all the products are free from chemicals, preservatives and animal testing. Explore the entire range of Creams, Lotions & Oils available on Nykaa. Shop more Biotique products here.You can browse through the complete world of Biotique Creams, Lotions & Oils . Name of Mfg / Importer / Brand: Bio Veda Action Research Co.